The default approach to (romantic) relationship tends to be encountering someone we find attractive, getting to know them more, finding them attractive (not only physically, but also in personality and their being), and then deepening our intimacy with them. This whole process is aided biologically by the production of chemicals and hormones. As time passes, the chemical support starts to wear off, and we find out that this person also brings along a whole host of garbage personality traits too — the stuff we don’t really care for. About two years in, we’re left spinning around in the question of “Is this person the right one?” There’s nothing wrong with any of this, but it is fairly undistinguished, and, what we can’t distinguish, we can’t do much about. 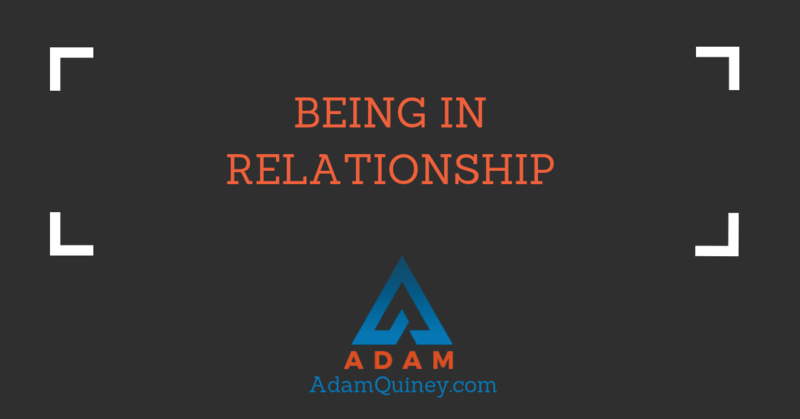 Here’s how your being shows up in a relationship: You’ll naturally be drawn to people that exhibit many of the same qualities of being that you do. We naturally look for ourselves in the world, and so if you embody the being of Generosity, you’re going to be drawn towards other people that share this same characteristic. These people will not only affirm who you are (they’ll admire this trait in you, just like they admire it in themselves) — you will affirm the same in them. This is an exquisite experience. It’s like being truly seen by someone, which is ultimately the deepest form of validation and one of the most basic human cravings. Two other things will also happen. First, the chemical infatuation at the start of a relationship will lower your (very human) defenses. You will let down your guard and drop the need to play out your shadow tendencies. Second, you will naturally have chosen someone whose shadow either aligns with your own, or represents the other end of the spectrum. Let’s use Generosity as an example, with its two shadow sides of Doormat and Selfish Zealot. In situations where you might respond from a need to stay safe with your new partner, you may instead be willing to let down the defenses and trust them (this choice is always available, but at the start of a relationship our body is producing chemicals that make this easier). If you are the being of Generosity, instead of showing up in your shadow, you will simply bring Generosity to your partner. They will revel in who you truly are as your deepest self, and respond in kind. It’s a beautiful dance that unfolds. Additionally, when you see their shadow playing out, you will admire them for the similarity to your own shadow, or envy their ability to bring a way of being that seems so fundamentally different to your own (but is actually just the other pole of the same magnet). In situations where you tend to show up as a doormat, sacrificing your needs for everyone else’s, your partner may be willing to put their needs unflinchingly above everyone else’s. You’re amazed at their courageous and willingness to be seen as selfish in service of getting their own needs met, and wish you could do the same for yourself. Or perhaps your partner mirrors your own shadow side in similar situations, validating the strategies you’ve learned to use to stay safe and liked. Because we judge ourselves for our own shadows, it is inevitable that, over time and as our chemical support wears off, you will begin to judge your partner for their shadows — they are, after all, simply a reflection of yourself. The secret to relationship success doesn’t come from finding the right person. It comes from simply trusting that you are choosing the perfect partner for where you are at, in any moment, and that all that really matters is you both, collectively, agree that you are going to stop asking that question, and instead choose to create each other as the right person. Once you’ve made this decision, your relationship can become fertile ground for seeing your own stuff reflected back to you, and an opportunity for real growth. Predictably, people tend to end the relationship, and go seeking someone else that they are drawn to. People will often end up with someone who brings the opposite part of the shadow to their previous partner, because the innate goodness that is creating this shadow is so compelling. We think (unconsciously) that if we can just find someone whose shadow shows up differently, then we’ll have gotten this relationship thing solved. Alternatively, we may seek someone out with more of that same shadow, but with just a few tweaks and modifications. The upshot of all of this is that the thing you seek in someone else (their innate goodness, free of any shadow) is what you are unwilling to express in yourself. That unwillingness is a product of taking on our own work, but also our humanity. We will always have shadows as long as we have an ego, and we will always have an ego as long as we are alive. Discovering your power in a relationship comes from realizing that you are choosing people because of their essential nature, and that no amount of trying to tweak for their shadow is going to get you the right relationship.